Here at StepHouse Recovery, we believe that long-lasting recovery starts with long-term comprehensive care. Grounded in ASAM’s (American Society of Addiction Medicine) “five levels of care” philosophy, we therefore offer a full continuum of care at our institution. This means that our addiction treatment programs are wide-ranging, progressive, and specifically tailored to each client’s individual needs. Each level of care that we offer build on one another for a more thorough and systematic approach to recovery. If you are looking for long-lasting sobriety we have the means and resources to help you take the first steps on the path to recovery. Our comprehensive care program allows us to treat co-occurring disorders alongside substance addictions. With an earnest focus on the patient’s health and long-term well-being, StepHouse Recovery is your one-stop shop for addiction recovery and behavioral health. We believe long-term care, lasting 90 days or more, is the best road to recovery. Not only does long-term care help build a better foundation for sobriety, but it allows us to address all aspects of addiction — including mental health. A structured transitional sober living program that includes a daily schedule of highly supervised residential care. The mind needs the time to reset and begin to replace old, deep-rooted bad habits with confident, life-affirming good habits. By introducing structure back into our patients’ lives, we enable the formation of new, healthier habits to maintain sobriety. Support for GED and College-bound programs for those who want to complete and/or continue their education. Career and vocational guidance to help transition back to a productive working environment and re-integrate into society. Psychiatric care for co-occurring disorders. Our dual diagnosis programs, led by masters-level psychiatric staff, treat both addiction and mental health, addressing trauma and root causes of underlying issues. A personal case manager to meet with each individual client and formulate a personalized plan to help lead them through their journey to recovery, based on the specific needs and treatment history of each client. Transportation to and from your group and one-on-one meetings, including regular, scheduled appointments with our professional licensed psychiatrist. Long-term care is a lasting investment in the patient’s health and well-being and a commitment we are proud to offer all of our clients. We have over nine years of experience working with clients suffering from addiction and co-occurring mental health disorders. And have become experts in designing well-rounded, transitional treatment programs specifically tailored to a client’s need. Our focus has always been and will continue to be on comprehensive long-term care because we have seen firsthand the lasting benefits this treatment can provide. If you want to know more about the benefits of long-term comprehensive care, please feel free to contact one of our professionals here at StepHouse Recovery to address any concerns or questions at (855) 201-2832.
their emotional or psychiatric disorders. In addition, those with co-occurring disorders have another problem – the ways in which these two illnesses interact with each other. StepHouse Recovery specializes in treating co-occurring disorders by offering a recovery track that treats both the chemical dependency and the psychological disorder – a personalized, integrated program that treats both simultaneously while combining and balancing the need of both. Our centers rely on the latest therapeutic strategies for co-occurring disorders rehab to give our clients the very best chance of success. Not long ago, treatment for addiction was considered wholly separate from mental health care and was provided for a separate facilities using different approaches in a fragmented, haphazard way. This often meant that those who suffered from serious psychological distress–such as schizophrenia, depression, bipolar disorder – weren’t receiving the correct treatments for their substance addictions, and those who were going through drug or alcohol rehab programs weren’t getting help for their underlying mental health complications. Unsurprisingly, the rate of treatment success wasn’t very high and resulted in partial recovery – as often the problems of one disorder would undermine the improvement of the other, making relapse inevitable. Aside from battling substance dependencies, a vast majority of addicts are additionally saddled with psychiatric disorders. The dual nature of this affliction still remains largely undiagnosed, untreated, and is largely responsible for the high incidence of relapse. Integrated Approach: We offer the same level of care and attention to both the addictive disorder and co-occurring illness, addressing both as chronic, relapsing conditions that require long-term support. Support & Follow-up for Families: We understand the hardship that comes with watching a loved one suffer through a mental illness and a substance abuse problem. Education and support for the families as well can make all the difference when it comes to dealing with co-occurring disorders. Contact one of our addiction specialists to find out how you can begin the process of recovery today. 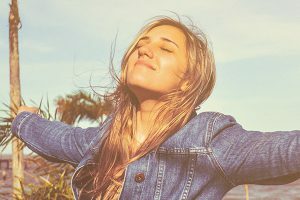 Individual Therapy: Therapy for co-occurring disorders can help you build motivation, identify self-defeating thoughts and learn positive new behaviors to reinforce a sense of self-worth while preventing relapses in the future. Peer Support: Social withdrawal and feelings of isolation are typical of many of those who have a dual diagnosis. Peer support groups are the integral for showing you that you’re not alone in efforts to secure a healthier, more stable future for yourself. Nowadays, those who suffer from both conditions are classified as having a co-occurring disorder, or a dual diagnosis. Aside from being affected by double the burden, being dual diagnosed spotlights another issue – the interchange between these two illnesses – which makes teasing the tangled threads apart to make an accurate diagnosis much more difficult. While either on its own can corrode a person’s life, the interaction between a substance addiction and a mental health disorder can cause an even more steady and rapid deterioration, which makes it much more difficult to diagnose and treat than either one alone. Due to this complexity, co-occuring disorder care is seen as a unique treatment modality in its own right. By integrating strategies from both psychiatry and addiction sciences, people with a history of both substance abuse and mental disorders can have their multiple needs addressed in a unified, comprehensive manner. As many as one in five Americans struggle with mental illness at some point in their lives, and within that cross-section approximately 7 million people also suffer from drug or alcohol addictions.” Recognizing and treating both of these conditions at the same time can help protect this group from poverty, severe illness, isolation, incarceration and homelessness and other afflictions that often affect those who co-occuring disorders. While either on its own can corrode a person’s life, the interaction between a substance addiction and a mental health disorder can cause an even more steady and rapid deterioration, which makes it much more difficult to diagnose and treat than either one alone. Holistic rehab therapy is a treatment technique that teaches patients how to safeguard all areas of their health — including mind, body, and spirit. Are you feeling like you have reached a dead-end on your road to recovery or that you are unsuccessfully in overcoming your addiction, have you tried self-help groups, quitting on your own, or a “quick rehab” with no luck? Then you may be interested in trying a completely holistic drug rehab program. The goal of a holistic programs is to treat clients as a whole, influenced by environments, past experiences, co-occurring illnesses, and physical illnesses. The holistic rehab therapy addresses each of these areas to help patients stop using and focus on bettering themselves. According to the philosophy behind holistic rehab treatment, all areas of your health are intertwined and when one is affected so are the others. Thus, a holistic treatment will heal each area so the patient can maintain sobriety after sobriety has been achieved. Our holistic rehabilitation program offers patients the ability to improve every part of their health. Patients may take part in meditation to aid with their spiritual enlightenment, counseling sessions for psychological health, and exercise sessions for physical health. The holistic programs we offer have therapists on site to provide daily therapy sessions and the chance to take part in support groups and group therapy. Holistic drug recovery facilities typically require a minimum stay of 30 days to ensure proper treatment, allowing the patient to focus solely on recovery. Not all recovery centers are the same. Each facility offers unique recovery plans tailored to each person’s needs. If you or a loved one is interested in our holistic rehab program, please contact us or call one of StepHouse Recovery’s friendly staff at (855) 201-2832. A 12-step facilitation program is a set of principles to follow that secure a course of action for beating problems including alcoholism and other types of drug addiction. The rehab and detox in Orange County that occurs here at StepHouse Recovery keeps in mind what was originally created by Alcoholics Anonymous (AA) as a method of recovery from alcoholism. The first Twelve Steps were published in a 1939 book called Alcoholics Anonymous: The Story of How More Than One Hundred Men Have Recovered from Alcoholism. From then till now, the method of 12-step facilitation programs has evolved to be as comprehensive as possible. Alcoholics Anonymous is a fellowship of men and women who share with each other their experiences and hope as part of the process in recovering from their addiction with rehab in Orange County. The 12-step facilitation model has evolved over the years to include other addictions (drugs, behavioral-based addictions as well as gender-specific groups) as well as elements of secularism for those who are uncomfortable with the steps’ religious roots. The priority of AA is to carry its message of recovery to the alcoholic or addict seeking help, and as a leader in alcohol rehab in Orange County, StepHouse Recovery, wants to get people in need on the path to recovery. Alcohol rehab and alcohol detox in Orange County takes on the process of becoming sober, 12-step facilitation groups are an increasingly important adjunct to all treatment types, and remains a time-tested support system for recovering alcoholics and addicts. Our 12-Step Facilitation (TSF) programs in Orange County consist of a structured approach that expedites early recovery from addiction to alcohol, drugs and other harmful addictive behaviors. Each step of the program is structured specifically for each individual, since no two people are alike, neither should the 12-Step Facilitation. Based off of the methods that form the core of the Alcoholics Anonymous (AA), Narcotics Anonymous (NA) and other similarly structured fellowships, our 12-Step Facilitation counselors implement rehab with the behavioral, spiritual and cognitive principles into individual and group sessions that have made 12-Step Facilitation programs so popular and helpful for the past several decades. Alcohol rehab in Orange County coupled with the principles of AA creates a system built for success. While individual therapy is effective, studies have shown time and time again that one of the best ways to change human behavior to is to allow similarly afflicted individuals to share their hardships and experiences in a group setting. More recently, Stanford University researchers, after reviewing approximately 200 articles on group therapy, concluded that “members find the group to be a compelling emotional experience, they develop close bonds with the other members and are deeply influenced by their acceptance and feedback.” This approach to healing addiction is at the heart of what makes AA and NA so effective. Surrender, or the willingness to participate actively in 12-step facilitation fellowships as a means of sustaining sobriety. 12-Step Facilitation Facilitators Our TSF Counselors assesses the client’s alcohol or drug use, advocates abstinence, explains the basic twelve-step concepts, and actively supports and facilitates initial involvement and ongoing participation in AA. Alcohol detox in Orange County is most successful with the 12-Step Facilitation program. By focusing on the concept of wholeness and integrity, our counselors will provide the client with rehab principles for living addiction-free by connecting your feelings and beliefs with your actions so that your life is congruent with your deepest values. As a client at StepHouse Recovery in Orange County, he or she will receive top alcohol detox services that are comprehensive and customized to the client’s needs and with two one-on-one therapy sessions that occur each week, all clients get the care they need. indicative of a one-way, downward failure – in fact, many people who are trying to quit often go through one to several relapse cycles before quitting for good. Of course, this isn’t to say that relapse isn’t be taken seriously, but that a good prevent addiction relapse program should always anticipate its occurrence and factor it into treatment. Self-regulation and stabilization. Stabilization comes from detox from alcohol and drug addiction, recuperation from associated stress, resolution of interpersonal and situational crises threatening sobriety and establishment of daily structure such as proper diet, exercise, stress management and regular contact with treatment personnel and self-help groups. Stabilization brings about your ability to self-regulate thinking, feeling, memory, judgment and behavior. As the risk of relapse is highest during this period of stabilization, it’s most advantageous to be in a controlled environment. Integration and self-assessment. While your understanding and acceptance grows, the risk of relapse further decreases. This is the period of time when it’s important to explore the situations, events and triggers that may have led to relapse in the past. Understanding and relapse education. As you learn about what general factors cause relapse, your ability to avoid relapse increases. Relapse Prevention treatment is best for those who have undergone addiction treatment and are striving to maintain their recovery gains while developing a lifestyle that supports well-being and sobriety. Do you or someone you love need help? Call StepHouse Recovery now at (888) 923-7623.